At 5 feet 10 inches and just near her goal weight, this patient could not achieve a flat, toned tummy even though she led a healthy lifestyle. Weight loss had left her abdomen with loose and sagging skin that only surgery could correct. 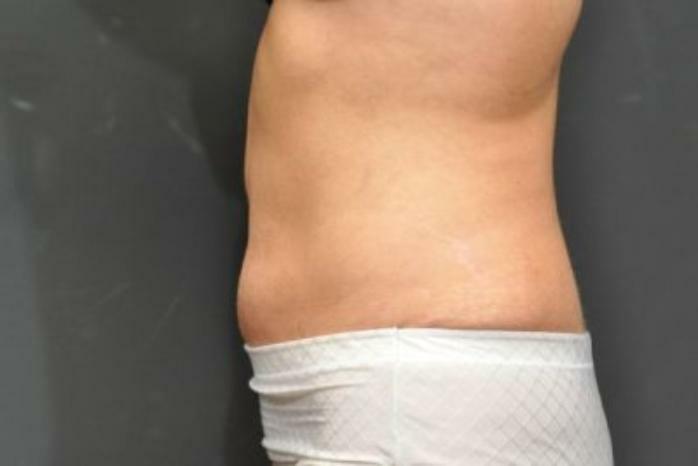 Seattle cosmetic surgeon, Dr. Craig Jonov, transformed her mid-section by performing a full tummy tuck (using an incision that spanned hip to hip). He also used liposuction to remove excess pockets of fat while trimming away the loose skin and tightening the underlying abdominal tissues. During this process, he also incorporated a pubic lift, which basically removes any unsightly bulge within the pubic area. The results are quite dramatic. Our patient now has a shapelier figure and a toned abdominal area that allows her to wear tighter-fitting clothing without worry. The scars from the surgery are easily concealed beneath undergarments, as shown in these photos. We think she looks amazing!